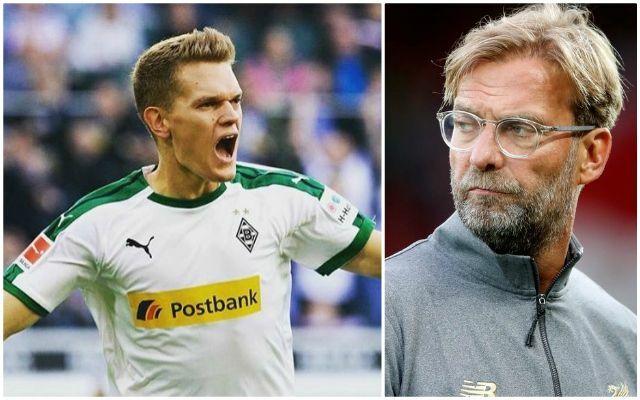 According to Calciomercato, the word from Italy is that Jürgen Klopp is keen on signing Matthias Ginter from Borussia Monchengladbach – a player he previously bought while in charge at Borussia Dortmund. Ginter – a World Cup winner with Germany – is a player the boss knows well, and he saw fit to spend £9 million to sign him from Freiburg for Dortmund back in 2014. It seems Klopp has kept tabs on Ginter’s development, and has eyed him up as a potential replacement for Joël Matip. To be fair, Matip has performed admirably of late, particularly in the absence of first-choice centre-back, Joe Gomez, and Dejan Lovren. But, it seems that Klopp remains unconvinced by the former Schalke defender – or more likely his ability to stay fit for lengthy periods. Apart from the ever-present Van Dijk, our centre-back options seem somewhat brittle: Lovren hasn’t started more than nine games in a row in his entire Liverpool career! Since arriving from Southampton in 2014, the longest run of consecutive starts Dejan Lovren has put together in one campaign is nine, achieved in the closing weeks of the 2016-17 season. Ginter represents more than a further defensive option for us; he also has the ability to play as a central defensive midfielder. Klopp is all about flexibility and versatility, so the twenty-five-year-old German could prove to be a clever bit of business come the summer. That said, we’re not sure if he’s a massive step-up in quality and he’d have his work cut out to displace Joe Gomez as Van Dijk’s partner in the heart of our defence.